It's day 2 of CHA Winter 2010. We're exhausted.... but we're bringing you back so many new goodies!! --Lots of new stamps from: Tim Holtz, Inkadinkadoo, Impression Obsession, Hampton Arts (new company for us), Prima, Imaginesce, Stampendous, and we're still searching for a few more. --Tons of gorgeous new flowers from Prima and Petaloo. Prima has really outdone themselves this year! Incredible stuff coming very very soon. --We've ordered the new paper/embellishment lines from: Webster's Pages, Cosmo Cricket, Making Memories, S.E.I., Best Creations, Bo Bunny, Basic Grey, Little Yellow Bicycle and Melissa Frances. --We also picked up a couple new companies for us: My Mind's Eye (by popular request), Glitz Designs (OMG, these are gorgeous), and Au Dela Des Cimes (a fantastic French company). --Let's not forget The Girls Paperie (also new)! This one is going to be a winner! --About a million new punches from: Martha Stewart, EK Success, McGill, Marvy and Punch Bunch. There's something for everyone here, from the card maker to the flower artist. --We've got great new dies from Sizzix (including Tim Holtz' new line + dies for the Sizzix big PRO machine... dies to make boxes, cards and even 12"x12" decorative edge papers). Of course, we also bought all the new Spellbinder dies. As usual, these are to "die" for!! --Want more Tim Holtz (don't we all)! OK, from Tim's imagination, we also have all his new embellishments from his Idea-ology line + see below for ink. --INKS inks inks: Tim's 12 new distress colors are probably the biggest announcement! You've seen them previewed on the site. We've also picked up the 4 new metallic Staz-On colors from Tsukineko as well as their new Spritz. --We have lots of new embellishments for you too: ribbons from Offray, 5 new little chalk palettes from Craf-T, new button assortment from Buttons Galore, and whatever we seek out tomorrow. There is still a lot of shopping to be done tomorrow. We've yet to hit 2 of our favorites: October After and Graphic 45... but don't worry, we're not out of money yet. We still need to stop at Tattered Angels, Clearsnap (new smooch colors, new colorbox colors and new Fluid Chalks too) and American Crafts. Our work is definitely NOT done!! it's almost 6AM and in less than an hour, we'll be heading down to the CHA convention and stand in line. We've already been able to see some sneak peeks last night. We attended 3 preview events: Making Memories, Creative Imaginations and S.E.I. I'm really excited about the 2 products from Creative Imaginations: Mudd Puddles and Real Wood. 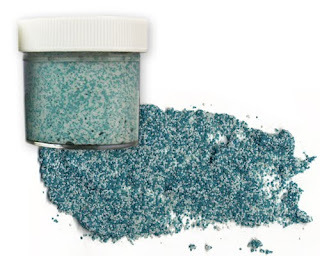 Mudd Puddles is a textured and colored sand mixed with glue, which can be applied to any surface. What does it look like? Well, sand of course! Think of a beach layout with waves of sand! 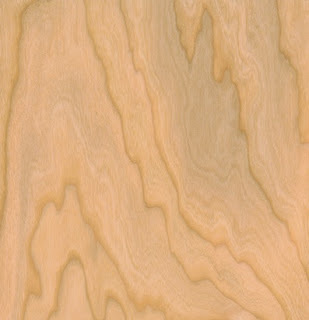 Real Wood is a very thin wood veneer with a paper backing. It's amazing. The sheets are die-cuttable, embossable (you can run them through a Cuttlebug or other with embossing folders), printable, etc. You can make your own really cute wood embellishments. At the S.E.I. preview party, we were treated to their beautiful new lines. 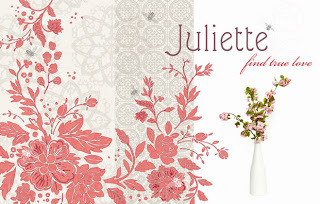 We purchased: Juliette, Claire and Jocelyne as well as 6 new colors of Suede papers. At the Making Memories preview event, we saw the cute new baby lines called Pitter Patter as well as a travel line that will be coming out in a few months. We also got to see the 12 new Slice cartridges. I'm very excited about them, but 2 are especially wonderful: Cooking and Paws&Claws. Oh... also the beach one is pretty cool. Well, let's be realistic, they are all cool. We also purchased the pink Slice as well as all new pink slice accessories. The newest accessory for the Slice is the HANDS FREE kit. It's a magnetic cutting board with a magnetic cradle that holds your Slice firmly in place against the board. Once you select the shape you want to cut, you just walk away and let the machine do the work without having to hold it. This is such a nice improvement!!! It’s been over a month since I last wrote…. A lot is going on (as usual). Our move went fairly well. We still have a few odds and ends to bring over, and of course not everything has a good solid home yet, but we’re making progress. I’ll try to shoot another video for the blog this weekend. We’ve been plagued by a series of employee illness… and today is my turn. If I could stay home, I would, LOL! I’ll spare you all the details…. But so far, we’ve had to struggle. Things will get better. So of course, now we’re behind on orders AGAIN!!! I hate that we can’t be super fast…. I want to be super fast again!!! CHA is just around the corner. Trying to save money (due to this major cost overrun), so we’re driving this year. We’re leaving on January 22nd in the afternoon, so we can make it over the pass before dark. For those of you not familiar with the area, the “pass” is the Siskiyou mountains. The I-5 freeway, which runs all the way down the western part of the US from Washington to California, has 1 MAJOR mountain pass: The Siskyou pass. It’s about ½ hour south of here and they close it OFTEN at night when they have snow storms. You see, the pass is ½ way between Oregon and California… so the road crews that clear it are ½ California crews and ½ Oregon crews. I’m sure you can figure out that 2 government agencies working together can be a nighmare…. A lot of time, the Oregon side will be clear, but the California side is not, so they close the whole dang freeway. We’re talking THOUSANDS of commercial trucks lining the side of the freeway for miles upon miles when this happens. On a better note, CHA is bound to bring us many wonderful new products! I’ve already got a few things posted on the “sneakpeek” page on my site…. And will be adding more in the next few days. Speaking of peeks, take a look at http://www.cosmocricket.typepad.com/ to see Cosmo Cricket’s 3 new lines. If you leave a comment nominating Frantic Stamper as your favorite store, we can win a full collection (which would really help financially right now) + YOU can win too!!! I’ve seen the new Basic Grey lines, but I’ve been sworn to the utmost secrecy. We can’t reveal ANYTHING, other than “it’s gorgeous”. Sorry to tease…. Tim Holtz has tons of new products in the works including 12 new distress inks (we are taking pre-orders) + dies from Sizzix due out in March as well as a MOTORIZED die cut machine with Tim’s name on it! I’m sure the Idea-ology line from Advantus will also have new products. We love Tim!! Well, I must get back to work. Lots of orders to get out the door before we leave.